1 Canopy trees, highest layer, eg chestnuts, persimmon, honey locust, Siberian pea trees, hawthorns, apples, pears, plums, medlars, mulberries. 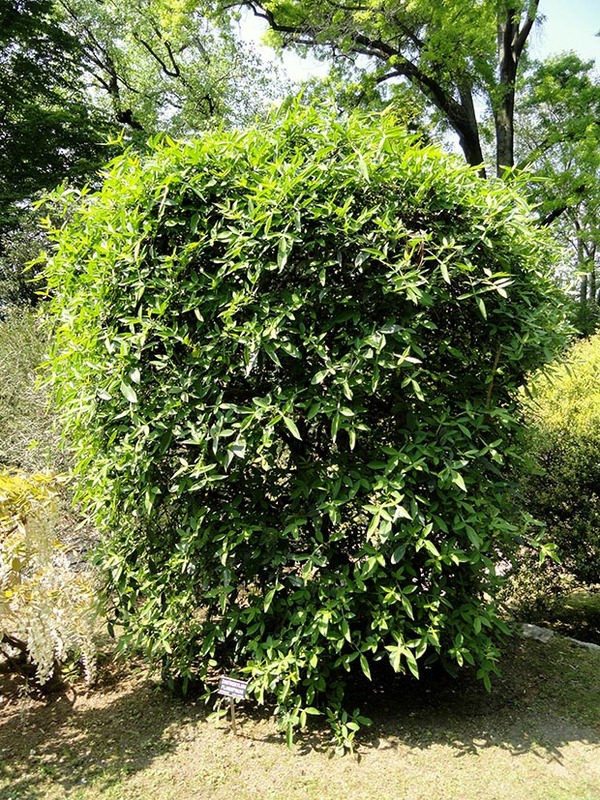 2 Low tree layer, small trees and large shrubs, eg dwarf fruit trees, bamboos, limes. 3 Shrub layer, shade-tolerant, eg currants, berries, flax. 4 Herbaceous perennials, eg comfrey, beets, herbs, mints, sage, tansy. 5 Rhizophere (roots), eg root vegetables, liquorice. 6 Soil surface, ground covers that creep and form carpets, eg ginger, strawberries. 7 Vertical layer, climbers and vines, eg kiwifruit, grapes. 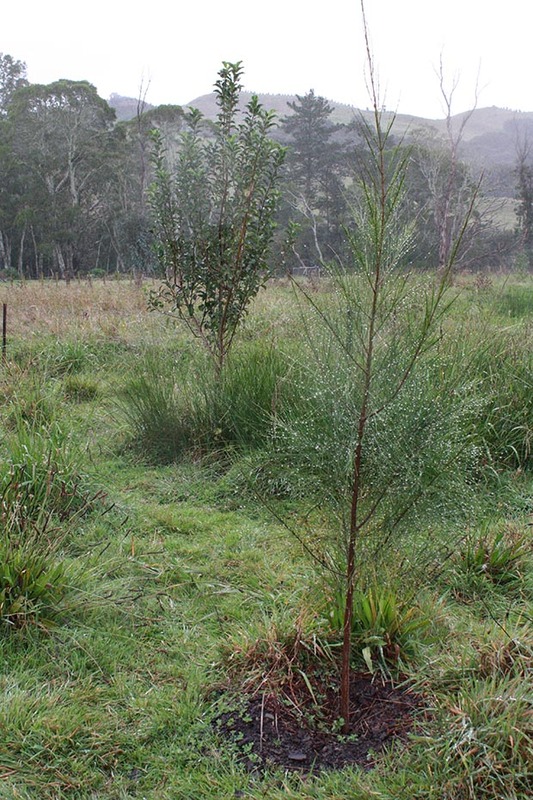 There’s no forest as such to see at Koanga, except for the huge swathes of pine trees on the distant hills, but the Koanga Institute’s garden team can see exactly where it will be. 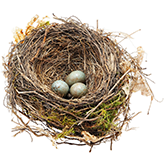 So can the other integral members of the workforce, a flock of Chinese ‘weeder’ geese that honk their way around the trees. 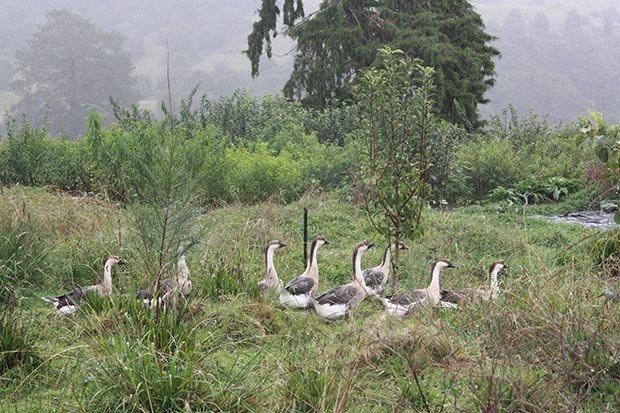 Chinese ‘weeder’ geese keep down the grass around fruit and nitrogen-fixing trees. “Our forest garden is based in part around animals, which is quite interesting,” says head forest gardener Shaked From. “You go into all of these beautiful amazing books (on forest gardens) and none of them speak much about animals, but that’s impossible for us at Koanga – when we design, we look at how this is going to work for us. Shaked points out the different trees that will make up the forest garden’s canopy. The geese are part of the garden at the moment, working to keep the grass and weeds at bay so the trees can get growing. 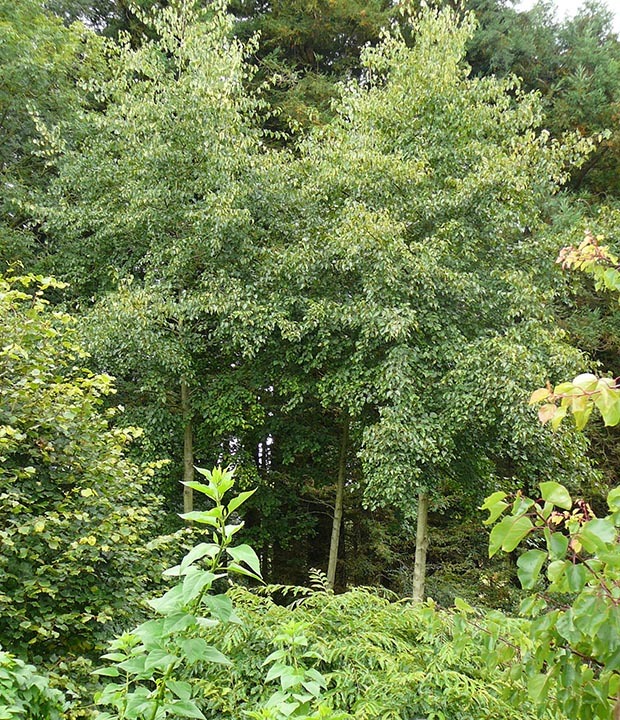 The fruit trees in the forest garden are all part of the Institute’s heritage collection and are used for scionwood. They also had to be planted first, so the other canopy trees that followed were all carefully chosen to play multiple roles in the ecosystem of the forest garden. 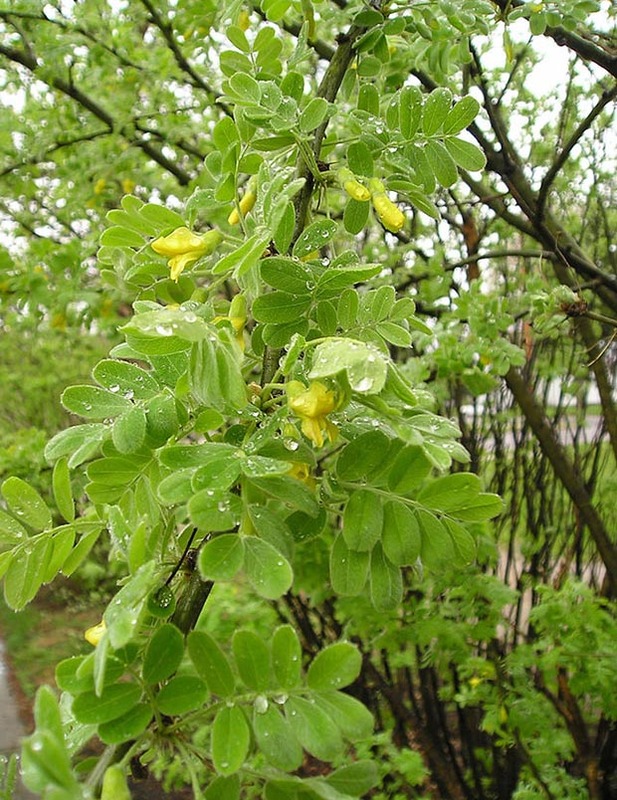 Siberian pea shrub is an important plant, providing food for poultry and fixing nitrogen. Other important trees include phosphorus-accumulating sheoaks (Casuarina cunninghamiana) and nitrogen-fixing Siberian pea tree (Caragana arborescens) which is also edible for humans and for animals. 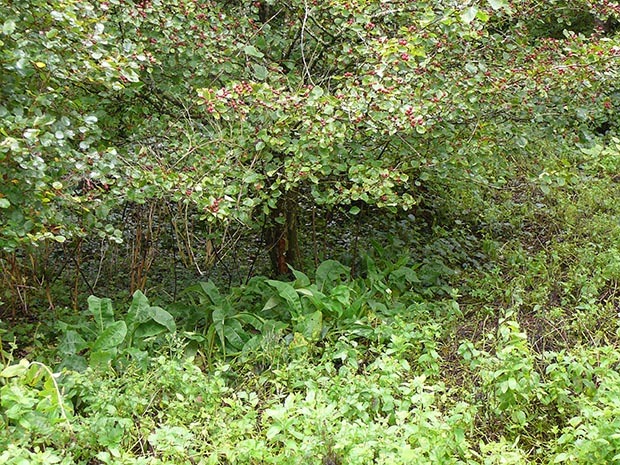 Other trees that suit the at-times water-logged soils at the Institute’s site include a host of trees that do duty as shelter and nitrogen-fixing canopy trees: Italian and red alders, tree medick (Medicago arborea), various acacia species and maackia (Maackia amurensis). The next step for Shaked is to start planting out the lower canopy trees. A sheaoak (foreground) is strategically placed to assist with the fertility of the soil around the closest fruit tree (background) when fully grown. 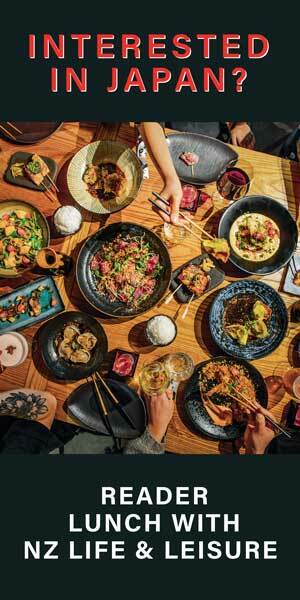 The garden is already providing food for itself and its gardeners. During summer the tagasaste was pruned each week to use as mulch for the fruit trees, they picked the first crop of peaches, then figs, and cardoon (Cynara cardunculus) stems were cut for mulch. The ultimate aim of this forest is ambitious, but with careful design and by using plants that will thrive in the Institute’s micro climate, it is achievable says Koanga’s founder, Kay Baxter. 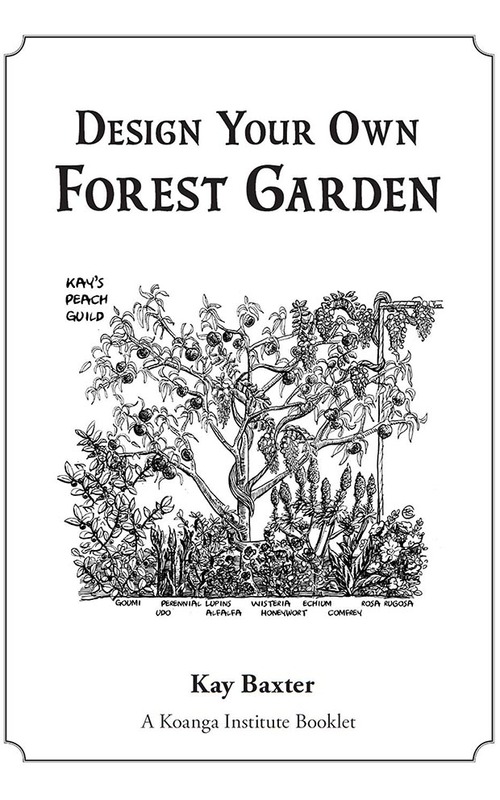 This new booklet from Koanga is written for the home gardener who wants to create their own forest garden and provide as much of their own fruit, nuts and nutrition as possible. It includes a guide to the basic design elements and lists of possible plants, a calendar so you can work out what plants will provide you with food all year-round, and shows you how to calculate a nutrient budget for your garden. This forest garden was inspired by the legendary work of English forest gardener Robert Hart and is described by Dave Jacke (author of Edible Forest Gardens) as one of the best examples he’s ever seen. 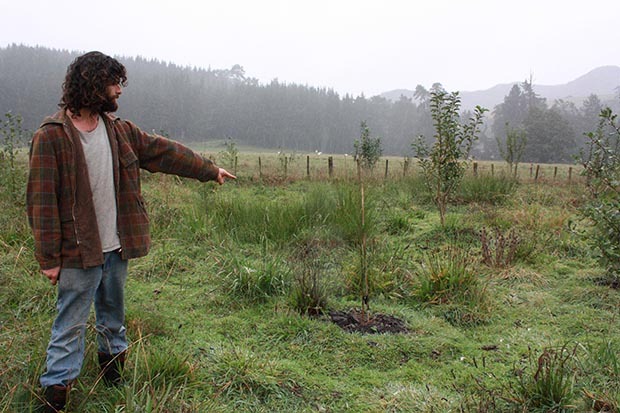 It’s the creation of agroforestry expert Martin Crawford, just one of his experiments on how perennial trees, shrubs and other plants can create a sustainable food production system in a cooler climate. 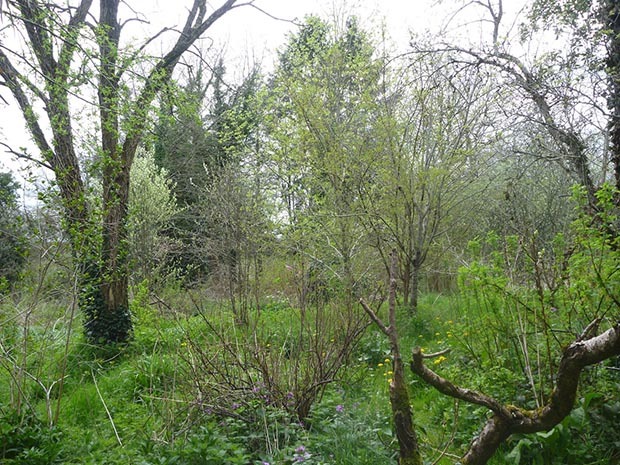 These days Martin describes how he can walk into what looks like natural woodland, with no bare soil to see. 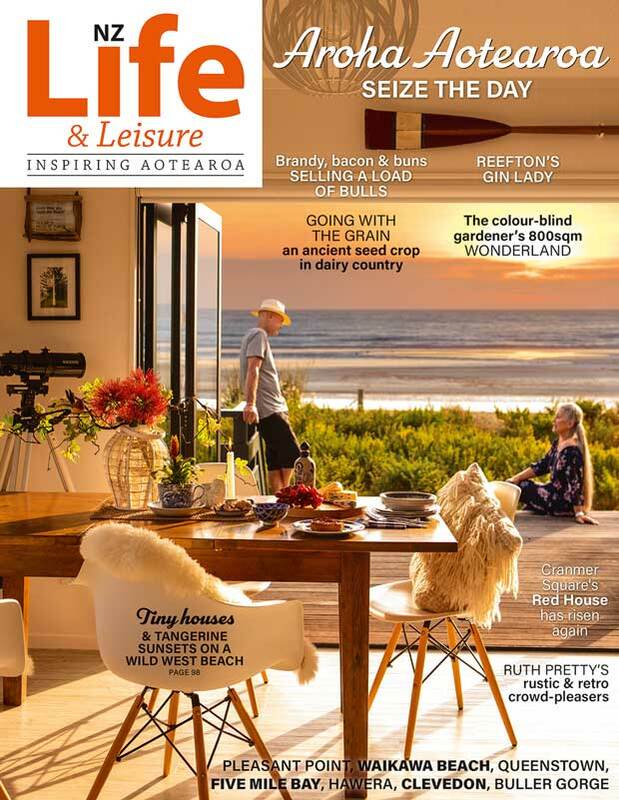 He’s carefully chosen a wide variety of perennial plants to cover the lower layers and concentrated on more unusual edibles and, as with many permaculture gardens, the trees and plants provide fruit, nuts, leaves, medicinal plants, timber and firewood. Young hosta shoots are a great edible addition and are happy to grow in the shade. 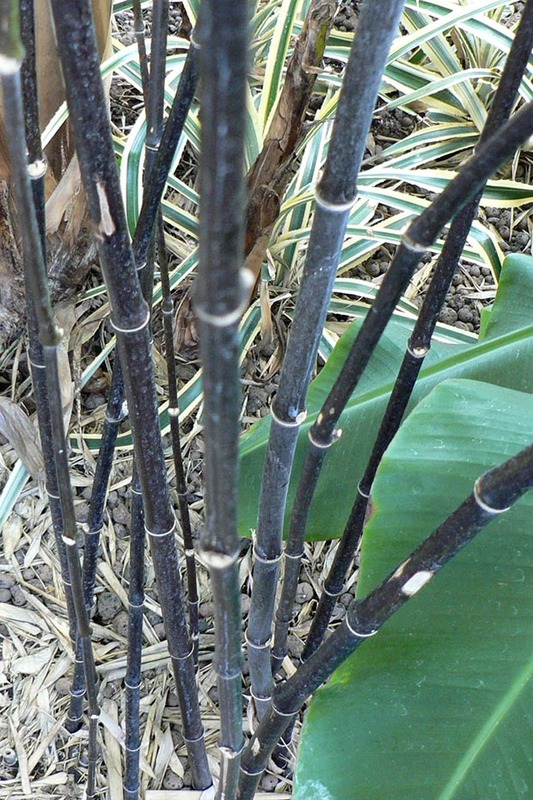 At ground level in early spring, Martin says he can feast on a huge range of plants, from the delicious-tasting, potato-like roots of Solomon’s seal (Polygonatum biflorum), to spears of Good King Henry spinach (Blitum bonus-henricus) and bamboo shoots. Another popular edible in spring is the slightly bitter tasting, still rolled-up young leaves of many varieties of hosta which can be fried up in a little oil. It’s also possible eat the young shoots and flowers of many hosta varieties. 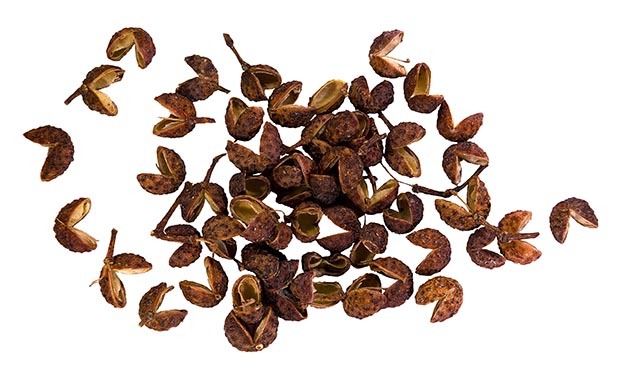 Other unusual edibles include a Szechuan pepper tree (Zanthoxylum schinifolium). Its small fruit can be used in place of peppercorns but apparently have a more spicy aftertaste. There’s also a type of dwarf-like member of the chestnut family that grows to 5m called the chinkapin (Castanea pumila) which produces a small edible nut. 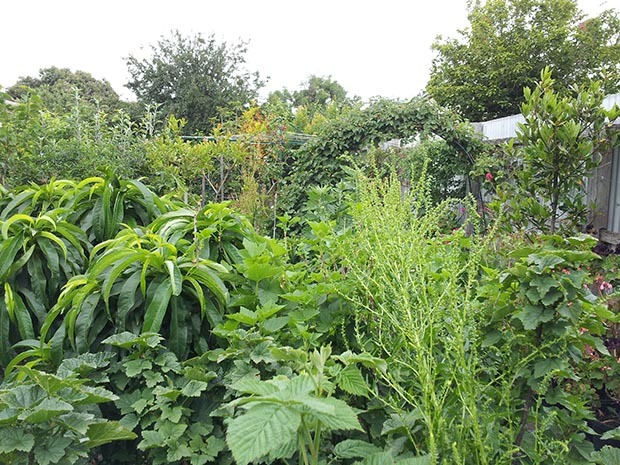 In the bottom layer is a huge range of herbs including mints, tansy, oregano and lemon balm, shade-tolerant Japanese blackberry (Rubus trifidus), and raspberry varieties which Martin leaves to grow along the ground so they are not so obvious to birds. 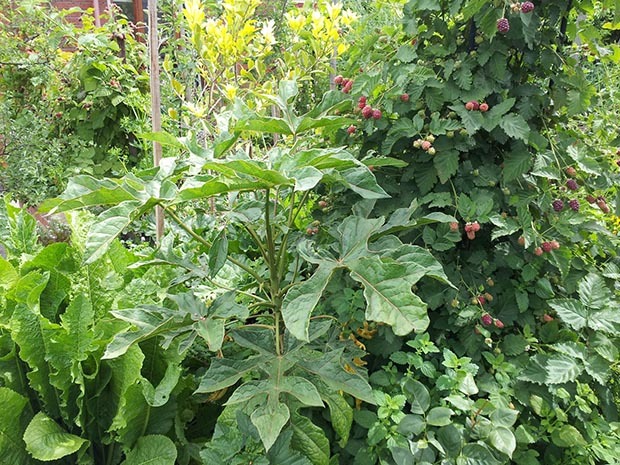 This amazing garden was once an ugly, leaking roof but is now a productive, food-producing garden, plus it acts as heat and sound insulation for the conference centre below. Once engineers okayed the roof for the extra weight, it was repaired and then lined so run-off could be stored in tanks. It catches rainwater which is stored in butts for use as irrigation over summer, with power for the pump supplied by energy from solar panels and a wind turbine. 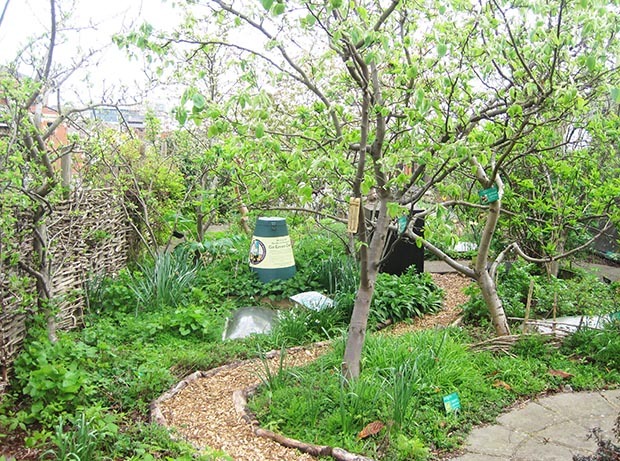 All the hard landscaping was built using local waste materials: wind-blown oak, coppiced hazel, recycled plastic and old paving. All the plants are edible or have medicinal properties, or can be used for fuel, fibre, construction, dye or scent. The garden is mulched with compost (made using scraps from the on-site cafe), newspaper and bark chips, and maintenance like pruning and weeding is done by volunteers. Head gardener Dave Richards says he was initially worried the trees would not thrive in the shallow soil but after three years the larger ones, including crab apples, dessert apples, plums, cherries and pears, all had to be pruned back to keep their height to a manageable level. The roof acts like a heat sink, so the garden supports a range of heat-loving plants that normally don’t grow in the area. In the spirit of growing the more unusual, this forest garden has some intriguing layers to it. • Strawberry tree (pictured above), Arbutus andrachne – the fruit tastes similar to strawberries. 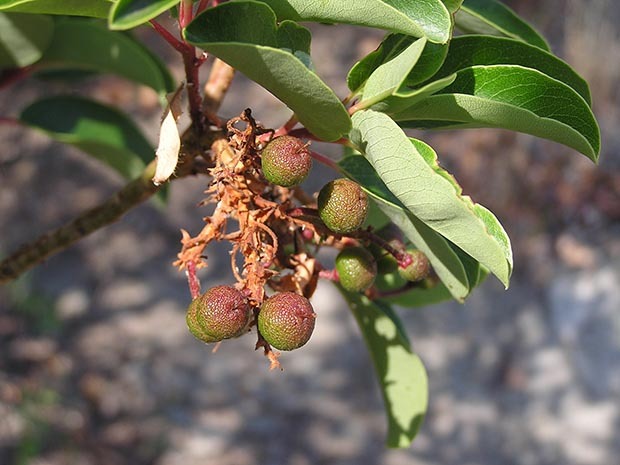 • Toothache tree (below), Zanthoxylum planispinum, peppery flavour. 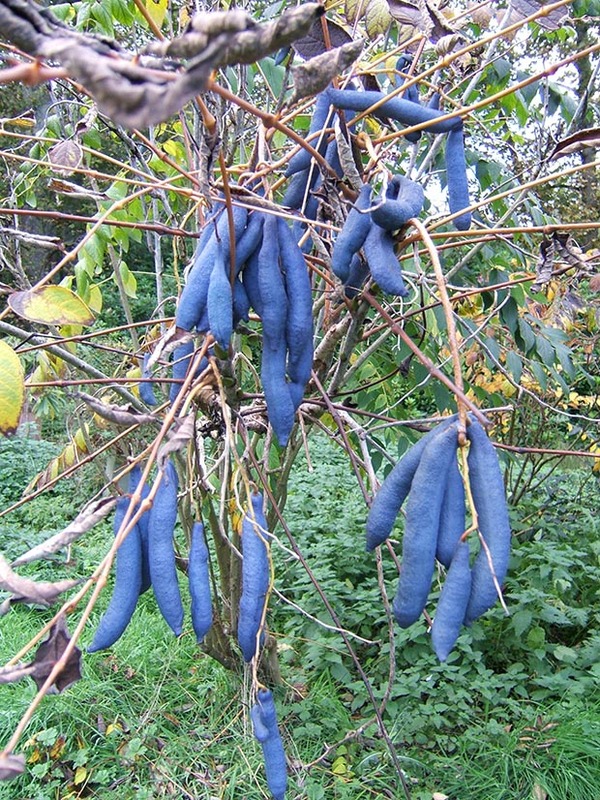 • Blue sausage tree (below), (Decaisnea fargesii), fruit have a jelly-like centre that tastes like watermelon. • Japanese mountain banana, Musa basjoo, used for its fibre. • June berry, Amelanchier canadensis, sweet-tasting blue-black fruit. • Black chokeberries, Aronia arbutifolia, used for preserving. The berries include black mulberry, red, black and white currants, blueberries, raspberries, strawberries, and wild strawberries that are a rampant ground cover. Vines on the outer walls include kiwifruit and grapes, chocolate vine (Akebia quinata) and golden hops. There are a lot of flowering plants that could be eaten but are left to go to flower and then seed including Welsh onions, garlic, chives, Echinacea, liquorice and fennel. 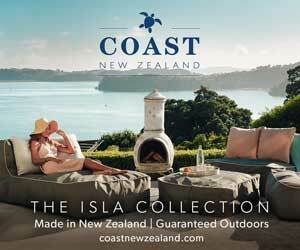 • Plant a windbreak before you start planting anything else. • A forest garden is easiest to maintain at shrub level. • Don’t have too many tall trees, and plant them on the north side of the garden (south in NZ) so they don’t shade out the smaller trees and shrubs. • Keep the amounts of grass to a minimum, if any. • Design in paths so all parts of the garden are easily accessible. • Dig swales along contour lines, to retain water within the garden. • Plant a good mix of edible plants, nitrogen fixers, dynamic accumulators and those that attract wildlife, especially insects. • Plant things that ripen at different times through the year. 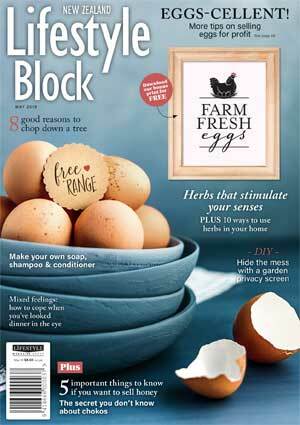 • Use fallen trees as climbing frames for other plants. 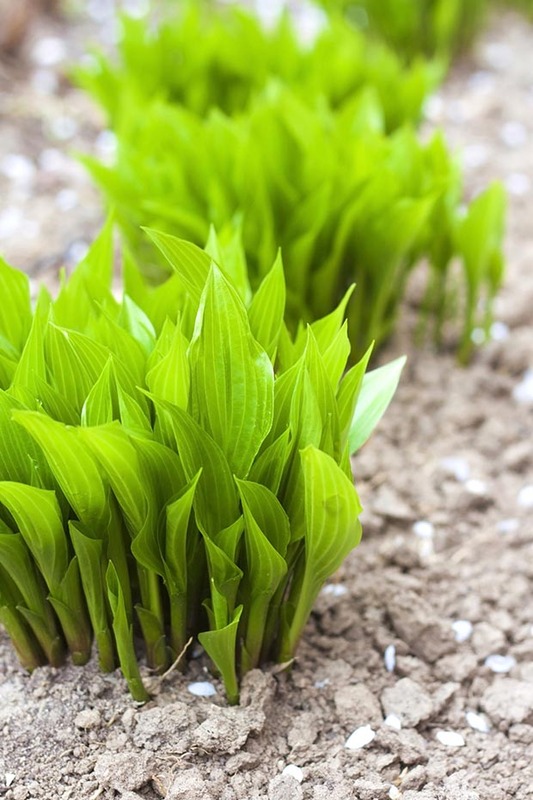 • Remove as little nutrients as possible from the garden. Leave dead trees and don’t harvest all fruit so some nutrients are left. 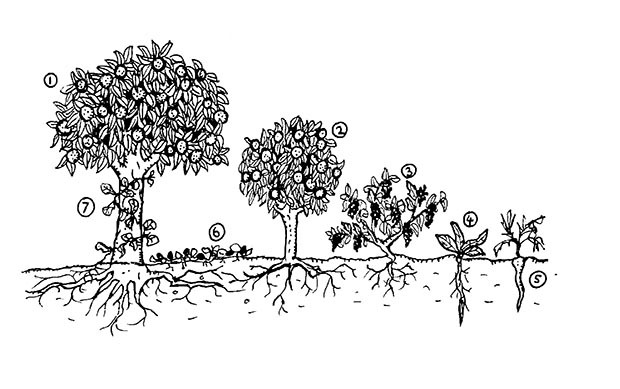 Angelo Eliades was already an accomplished gardener but in 2008 he stumbled across the concept of permaculture. 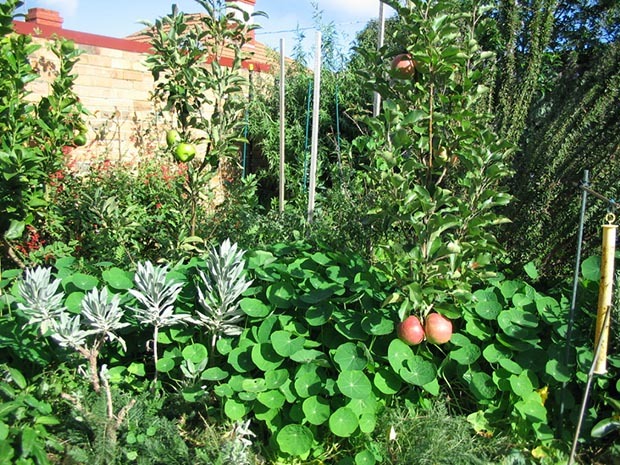 That winter, he set about turning his tiny backyard into a permaculture oasis, producing huge amounts of food. “The vertical stacking of trees and plants creates an intensive planting system which, when recreated with edible plants, produces very high yields. This close arrangement of plants also creates a very distinct microclimate, which allows plants to grow in a protected space where they are not assaulted by the elements. 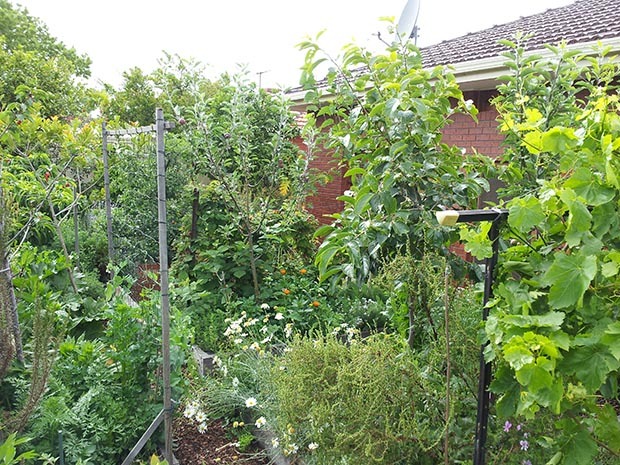 Angelo’s garden includes a home-made water storage system (1500 litre capacity) that collects water off his garage roof as Melbourne residents mostly live under water restrictions over summer due to drought.